Audioboom / Jerry Brown California High-Speed Rail slowly.Janet Napolitano Univ of California swiftly. @JCBLISS Pacific Watch. Jerry Brown California High-Speed Rail slowly.Janet Napolitano Univ of California swiftly. @JCBLISS Pacific Watch. Jerry Brown California High-Speed Rail slowly. Janet Napolitano University of California swiftly. @JCBLISS Pacific Watch. Jerry Brown California High-Speed Rail slowly. Janet Napolitano University of California swiftly. Jeff Bliss, Pacific Watch. 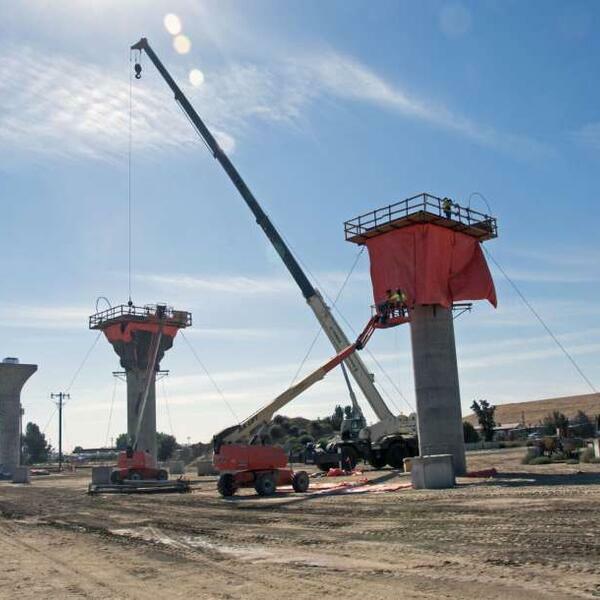 The head of California’s $64 billion high-speed rail project said Friday that he’s stepping down after five years pushing forward a vision of 220-mph trains that still faces stiff resistance from lawmakers and the public. Jeff Morales, 57, told The Chronicle that uncertainty over the project’s future had nothing to do with his resignation, only a genuine desire to move aside after breaking ground on the nation’s largest infrastructure project. “We’ve made a tremendous amount of progress, from being at a standstill to having $3 billion-plus of construction under way,” he said. “Frankly, I didn’t think I’d be here for five years. I had no gray hair when I started the job. I have lots of it now.” Morales, who sent his resignation letter to Gov. Jerry Brown on Friday, plans to remain chief executive officer of the California High Speed Rail Authority through June 2, long enough for his replacement to be found. The search for a successor has begun. Plans for a 500-mile rail line, with trains running between San Francisco and Los Angeles in two hours and 40 minutes, were launched in 2008 with a voter-approved ballot measure.